Treaty of Saint-Germain-en-Laye returns New France to the French. 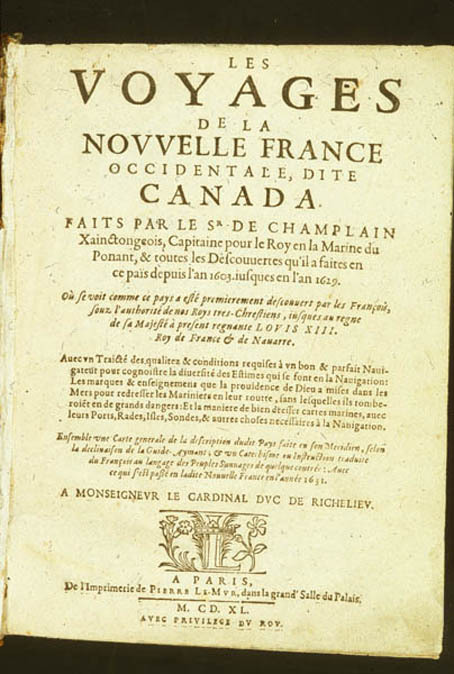 Champlain publishes Voyages de la Nouvelle France. Returns to Quebec, effectively as governor of New France. Étienne Brûlé is killed by the Huron (Wendat). Champlain establishes strategic fort and trading post at Trois-Rivières. European diseases ravage Great Lakes region, killing half the Aboriginal population. Champlain dies at Quebec on December 25. Following decades of limited commercial management, New France becomes a royal colony.